John Hillen, executive-in-residence and professor of practice at George Mason University’s School of Business and a board member at several companies, has joined the board of advisers at Govini. The big data and analytics company said Wednesday Hillen, a 2015 inductee into Executive Mosaic’s Wash100, will work with other industry and former government professionals in the board to drive Govini’s data science efforts for the public sector. “Budget analyses are increasingly poor predictors of future activity,” said Govini CEO Chris Taylor. 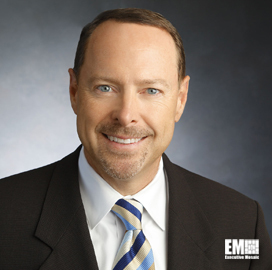 Hillen is also currently a member of the board of directors at IAP Worldwide Services, Atkins Nuclear Solutions and Software AG‘s government solutions unit, and chairman at CygnaCom Solutions and SOS International. He has previously served as senior operating adviser at LLR Partners, chairman then member of the executive committee at the Professional Services Council, president of CGI‘s (NYSE: GIB) federal business, as well as president, CEO and eventually vice chairman of the board of advisers at Sotera Defense Solutions. Hillen also worked in the public sector, including as assistant secretary for political-military affairs at the State Department from 2005 to 2007. Govini also appointed other new members to its board of advisers, namely Boyden Gray, former White House counsel; James Winnefeld, former Joint Chiefs of Staff vice chairman; Robert Work, former deputy secretary at the Defense Department; Will Grannis, managing director of the chief technology officer department at Google; and Dave Rensin, chief scientist at Reality Mobile.